Hello and welcome! This week at Festive Friday over at the Outlawz we have another fun challenge for you! 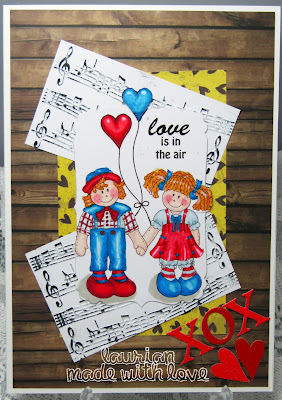 We always give you some choices of fun celebrations that you can make a project for and this week one of those challenges is Valentines Day - well I just had to make up this adorable digi from Miss Daisy Stamps as I think it is just perfect for Valentines! 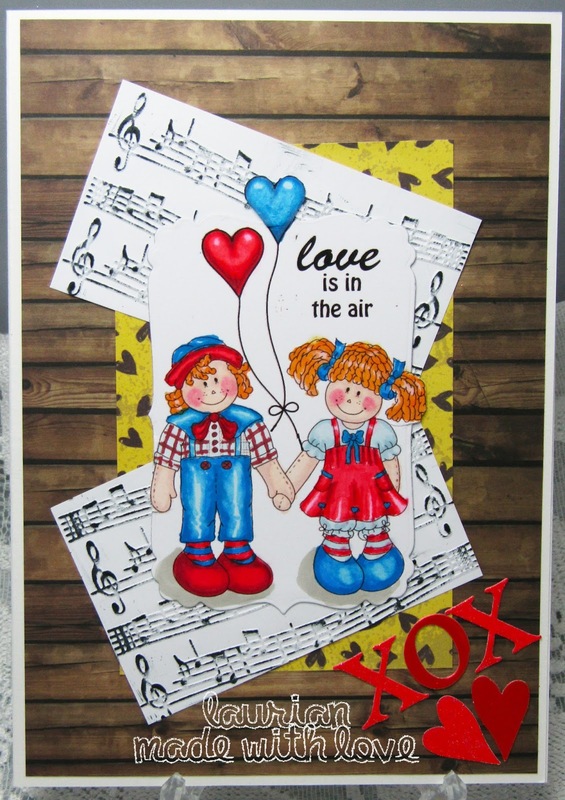 The image is coloured with Promarkers and I used some great wood paper from tattered Lace, the music is from an embossing folder that I inked to get the notes coloured, die cut letters and punched hearts finish it off! So come on over to Festive Friday and have a lot of fun with these great challenges designed to make you smile!